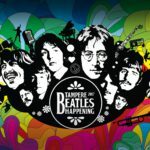 The 8th Consecutive International Beatles Festival at Tampere Hall 7-9 April 2017! 60’s & beyond: Tampere Beatles Happening! 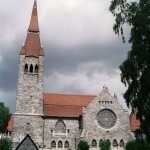 Tampere Beatles Happening is Finland’s only event focusing just on The Beatles. The festival will broaden its musical offerings in 2017. 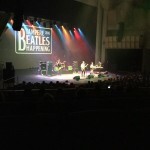 Tampere Beatles Happening is the real deal for 60’s music lovers, an event which swings in nostalgia. The events Finnish headliners are some of the finest. Finland’s largest band back in 1967, Topmost, the always exceptional Pepe Wilberg and the scaringly identical Pink Floyd tribute Pulse ensure that guests will never want to leave Tampere Beatles Happening. All in all there are 13 artists peforming over the three days, ranging from Finland, Spain, Slovenia and the United Kingdom. Tampere Beatles Happening once again shows that The Beatles music can be interpreted in so many ways, for example British Them Beatles adds their very own taste to the legendary music, Slovenian Help! does their piece of The Beatles tributing and Spanish The Funkies adds funk and rhythm to The Beatles music. The full schedule is viewable from the “AIKATAULU” section below. The festival pass, which includes all shows and concerts at the Tampere Beatles Happening only costs 78 euro. VIP passes will set you back 150 euro. Friday tickets costs 50e and Saturday tickets 60e. Tickets can be bought from Lippupiste. Just click “OSTA LIPPU” and buy the ticket you desire. Tampere Beatles Happening covers more then just quality concerts. 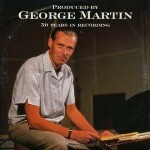 The event also has a Beatles church, music market, Beatles Forever Revue and pub-quiz to name a few. 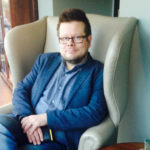 The event is hosted at the Tampere-talo conference and concert complex and the venue will be concentrating on making guests feel very welcome. The modern event arena has great dining and drinks options making the event also taste great! Welcome to Tampere Beatles Happening!